Reigning Indy 500 winner Takuma Sato is expected to leave Andretti Autosport at the end of the season to rejoin Rahal Letterman Lanigan Racing. Multiple sources have told RACER the 40-year-old Japanese driver, who drove for RLLR in 2012, would join Graham Rahal in 2018 as part of an expanded two-car Honda program. Speculation regarding Sato’s future at Andretti Autosport has circulated since it was learned the team was considering a move from Honda to Chevy. 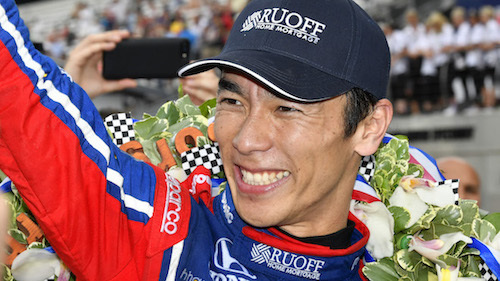 Having carried Honda backing for most of his career, Sato’s ongoing presence in the Verizon IndyCar Series has always been tied to driving for Honda-powered teams.